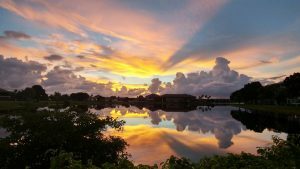 October, 2016 | Experiencing God's Love Through His Creation! This afternoon I’ll be attending my retirement celebration at Assurant where I’ve been working for the past 38 years. I feel so blessed to have been able to meet so many wonderful people along the way and look forward to having an awesome time. 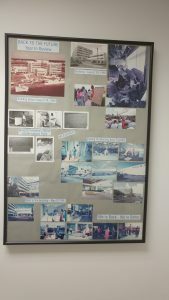 This picture includes pictures of the American Bankers building prior to being hit by Hurricane Andrew, after Hurricane….. Welcome, my name is Robert Negron, author of Experiencing God’s Love Through His Creation! I’m happy to have you as a visitor to my blog as this project is very special to me and I hope to share more about it here. This book is a compilation of beautiful sunrises, sunsets and biblical Scripture meant to inspire others with the message of God’s unending love. I’ll be using this blog to interact with you to expand on some of the…..